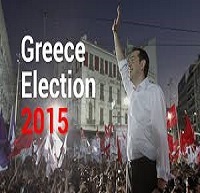 Greek Victory and lessons to all leftists in political mobilization and winning the trust of the people. Robin Hahnel is Professor of Economics at Portland State University. He was a professor at American University for many years and traveled extensively advising on economic matters all over the world. He is best known for his work on participatory economics with Z Magazine editor Michael Albert. Latin Waves host Sylvia Richardson speak with radical economist and political activist Robin Hahnel about Greece’s new majority government in the new elected Greek radical leftist Syriza party. What are the challenges ahead facing new finance minister Yanis Varoufakis, a radical economist himself as they introduce anti-austerity policies and force a renegotiation of Greek’s debt. How Syriza’s political victory may impact the leftist party Podemos in Spain; and the lesson to all leftists in political mobilization and winning the trust of the people. This entry was posted in Uncategorized and tagged another world is possible, be the media, borders, by the People, community, dispatches, environment, Global Economic Crisis, global news, global warming, how to listen, immigration, international, internet, interviews, labor, latin waves media, media, media democracy, membership, movements, Of the People, on-air, passion, political, politics, radio, Robin Hahnel, social change, Stuart Richardson, Sylvia Richardson. Bookmark the permalink.